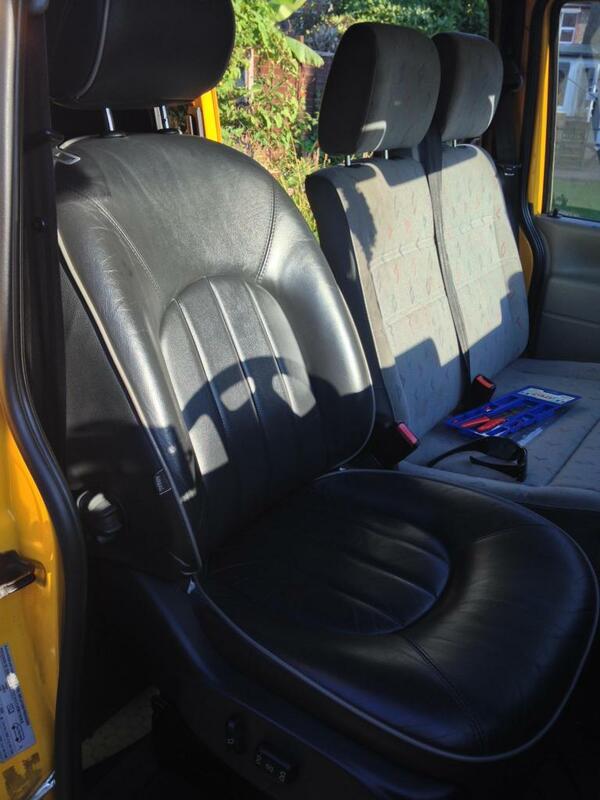 The front cab needed a bit of love, when we bought the van the previous owner fitted a rover 75 electric seat that looked ugly, also the way it had been wired in almost sent the van up in flames. The standard bench seat wasn’t very attractive either as well as being pretty uncomfortable on a long journey, the seats had to go! 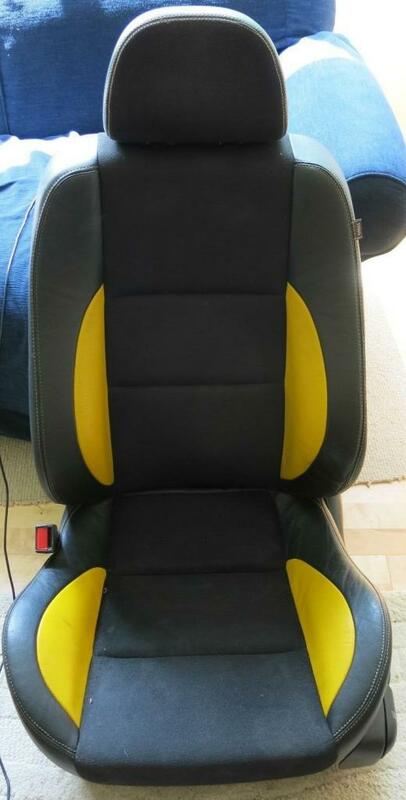 After a bit of research and mainly based on colour we set out to find a pair of these half leather MG ZR seats in black and yellow. After missing out on a couple of pairs we eventually won a complete set (front and rear) on ebay and went off to plymouth to pick them up. 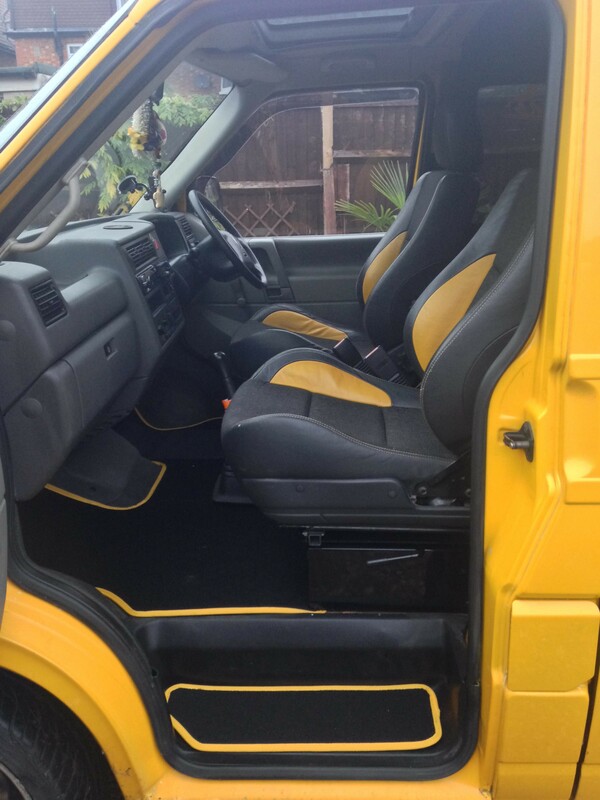 At the time of writing I am still trying to sell the rear seats on ebay ! The cab carpet was also looking a little tired so we bought a new one of those, we also installed a swivel base on the passenger side and the base has a safe built in. With the help of Laurens dad Ian, engineering genius, the seats were modified and fitted to the drivers base and new swivel base, the cab now looks like this, much nicer ! The seats are dead comfy too !